The mission of the Alaska Personal Injury Law Group is to obtain justice and compensation for injured Alaskans by providing each client with the best possible individual representation. Trust and honesty is the foundation of our legal practice. We work to earn that trust throughout the representation. We will thoroughly analyze your legal situation and advise you about the strengths and potential weakness of your case. We will fully explain the litigation process. We will be the first to tell you that pursuing a claim through trial is neither quick nor easy. Our reputation as attorneys who are ready, willing and able to try cases will often enable us to obtain a fair and just settlement without the necessity of a trial. An attorney who is not ready or willing to try your case will not be able to settle your case for its true, fair and just value. An attorney who does not have an established track record of successfully trying cases cannot effectively threaten a defendant with "going to trial." 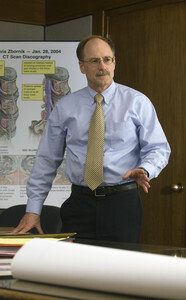 The Alaska Personal Injury Law Group thoroughly prepares for every trial and has a proven record of courtroom success. At the Alaska Personal Injury Law Group, we do not assign your claim to a new associate. We do not accept whatever the insurance company will pay and move on to the next case. We do not accept more cases than we can effectively and skillfully handle. We are not a personal injury "mill" that operates by taking on a large number of cases and then settling them cheaply without proper preparation. Often more than one of us will work together on your case. The cases we take are each prepared so that they can be tried, if necessary. If we cannot provide you with the highest level of legal representation for the facts of your particular situation, we will provide you with referrals to other attorneys who may be able to help you. 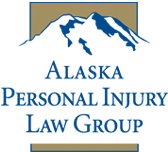 The Alaska Personal Injury Law Group is committed to providing injured Alaskans and their families with effective, intelligent, and ethical representation. We will apply the skills we have learned over several decades of successful legal practice to present your case in the most effective and persuasive manner. We will keep you informed. We will consult with you in all major decisions in the litigation. We will copy you with all the court filings and correspondence in the case. We understand that this is your claim, and that we have been hired, trusted and honored to vigorously and ethically pursue your claim and protect your interests. At the Alaska Personal Injury Group, we are proud of the financial results we have obtained for our clients. We are also proud of the many lifelong friendships we have made in that process. Contact us. We will explain the relevant law and answer your questions. There is no charge for an initial consultation.